Rose Howard loves two things: homonyms and her dog, Rain. Homonyms are words that sound alike but are spelled differently. Rose and rows are homonyms, and Rain has two homonyms, reign and rein. Rain, a yellow dog with seven white toes, is a gift from Rose’s father, Wesley Howard, who found the dog wandering lost in the rain. Rose and Rain become inseparable, as Rose’s dad is often away at work, or down the street at the local bar, and Rose is lonely. Life is good for Rose; she has her homonyms, she has Rain, and she has visits from her favorite uncle, Weldon. Until one day, Hurricane Susan, the storm of the century, arrives, and Rose’s dad let’s Rain outside in the storm without her collar or tags. Rain is lost in the hurricane, and Rose is devastated. 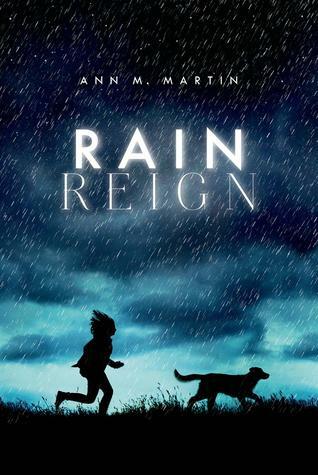 Rose devises a plan to find Rain, and when her plan goes into action, she finds that Rain may still belong to someone else who loves her. Rose will have to be especially brave to deal with the situation, and her life may never be the same. This is a story about a girl and a dog. While there are many stories out there about girls and dogs, this one is special because Rose is special. Rose is a high functioning autistic, and she has special challenges in her life. In addition to her unique way of experiencing the world, she also has a difficult home situation with a father who struggles to manage his own life, with little patience left over for Rose. The story, told from Rose’s, shows you her challenges in dealing with life, and let’s you see her wonderful, loving complexity. All I can say, without spoiling the story, is that Rose is possibly the bravest, most caring person I know. (Real or imagined.) I can’t recommend this book highly enough. If you’re looking for a similar books, aimed at adults, try “The Curious Incident of the Dog in the Night-time.” This one also features an autistic protagonist. In this case, he solves a troubling mystery and at the same time, he learns more about his connection to his family and to the rest of the world.